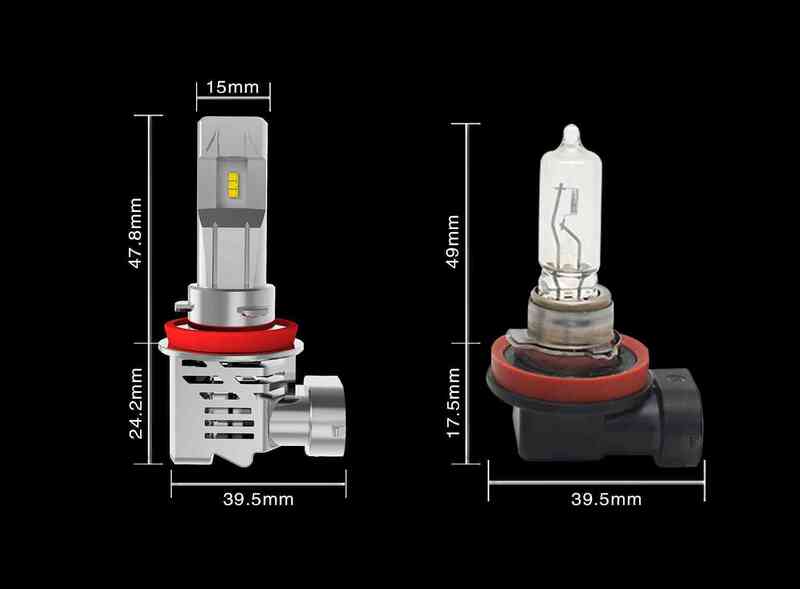 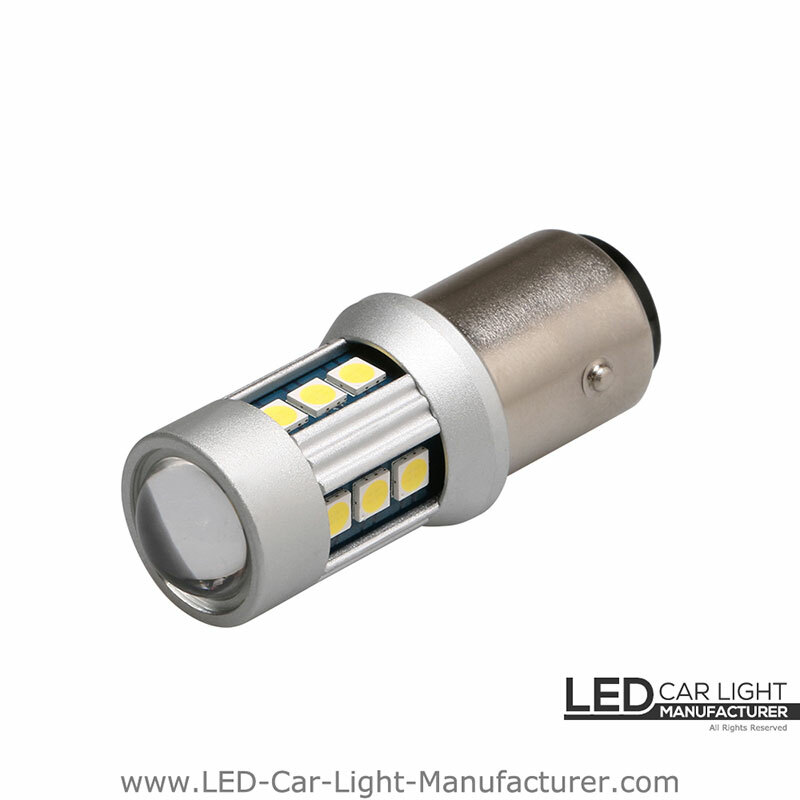 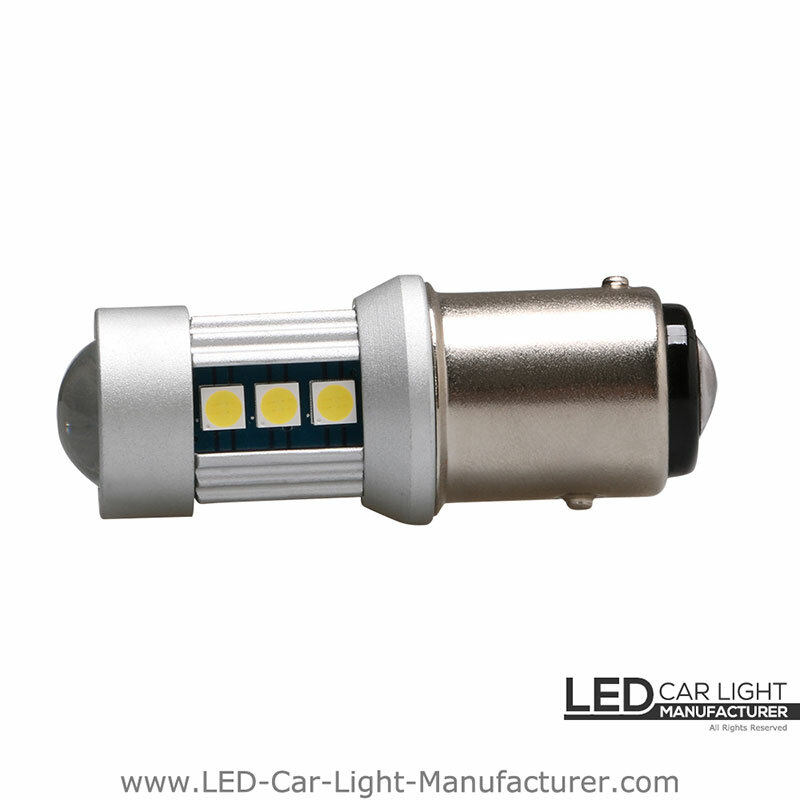 This is the 1157 LED bulb with pure white crisp lighting, clear and sharp enough to be seen by any road user. 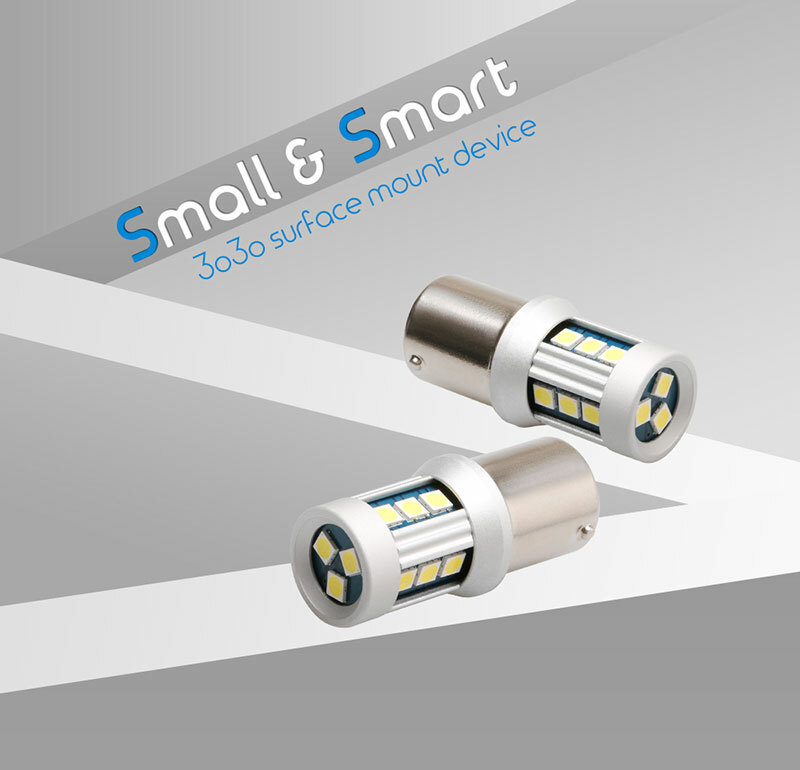 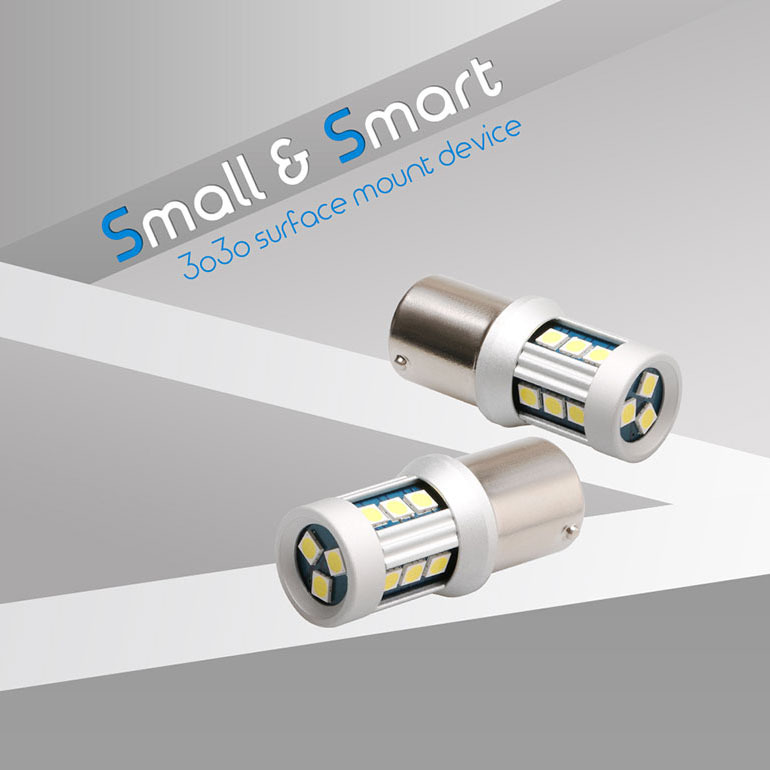 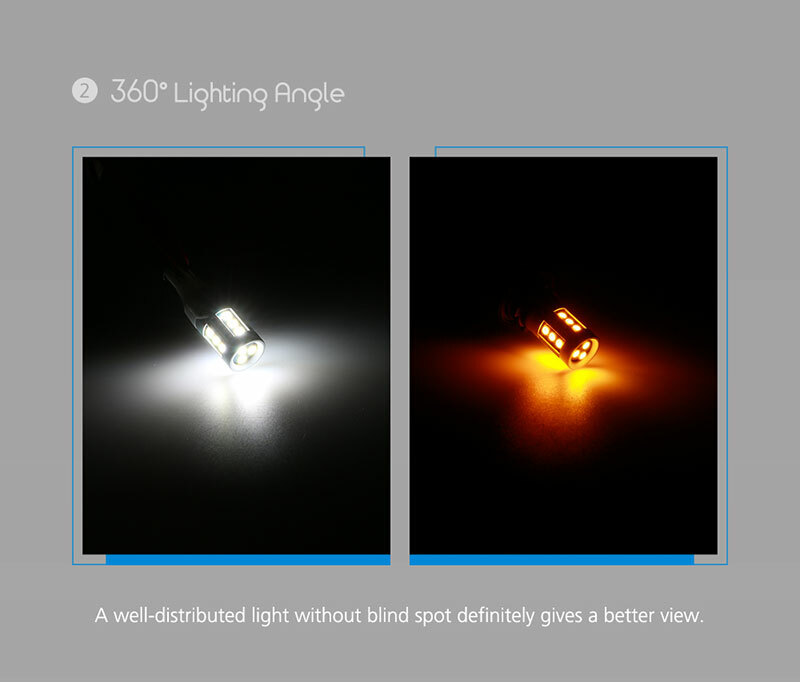 360° Lighting Angle, the same light distribution as the halogen light bulb. 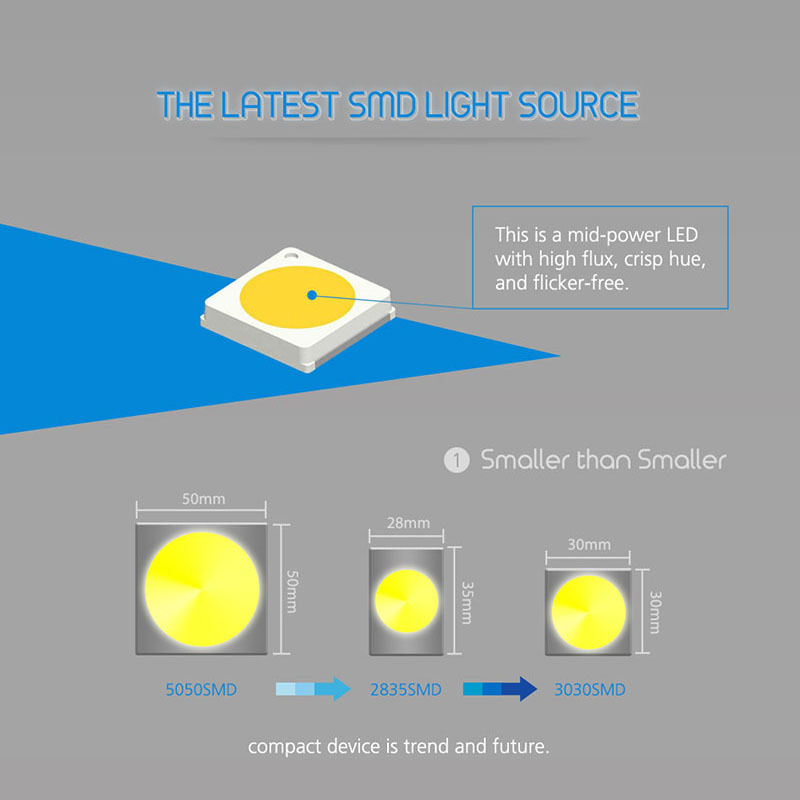 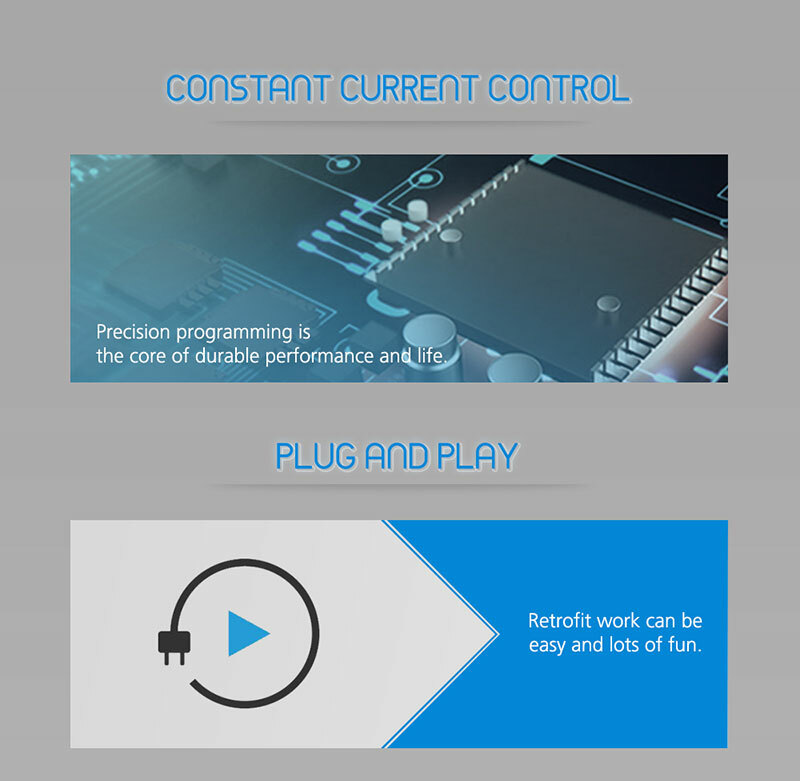 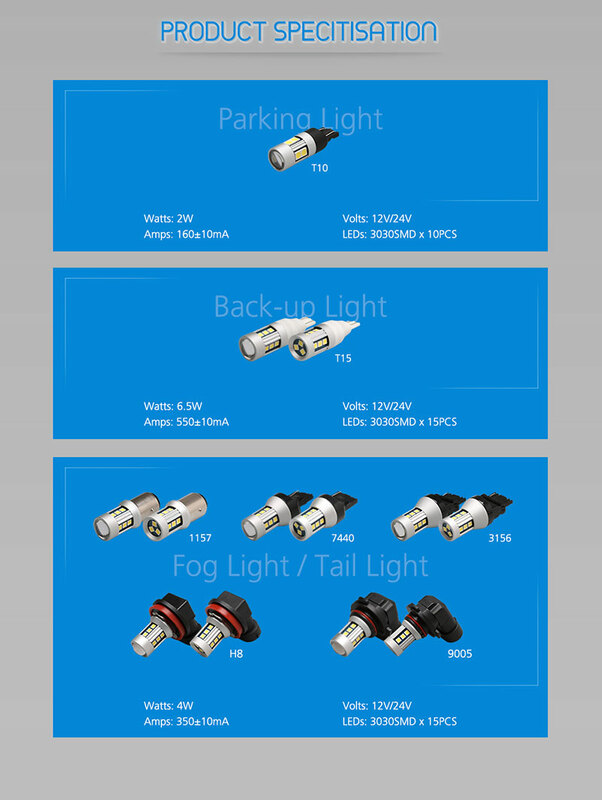 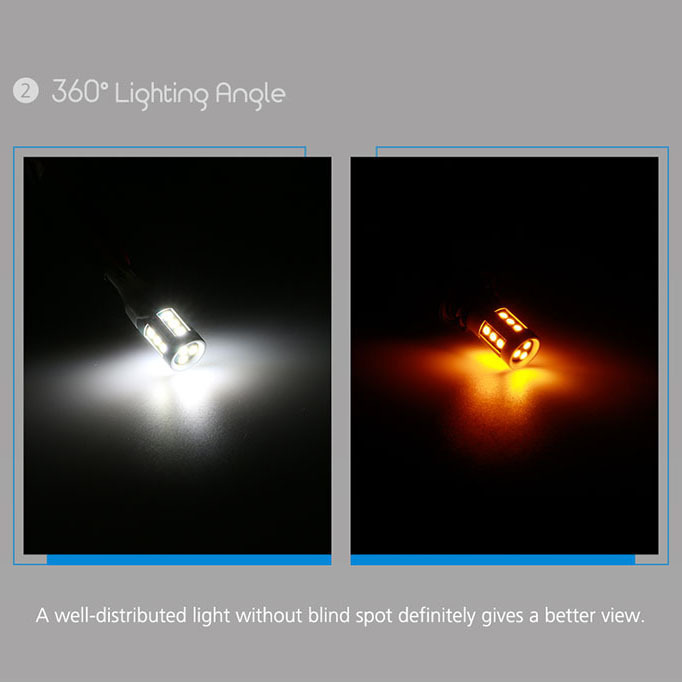 Select the latest 3030SMD LED Chips, high flux, hot-color targeted mid-power LED, delivers the efficacy and reliability required for automotive lighting.